The composition of debt changed significantly after World War II, with debt rising in the public sector and falling in the private sector. 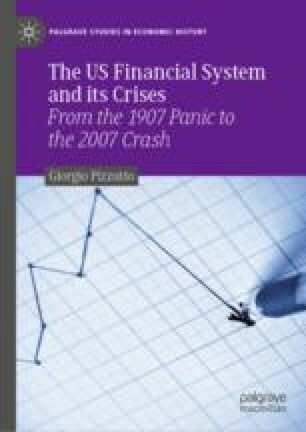 The repo market initially, and the triparty repo subsequently, provided means for financing public debt in a low-risk financial market. The existence of collateral also ensured a lower interest rate than that demanded by banks. The money market continued to finance dealers in a market where collateral did not take the form of stocks and bonds, but government securities whose relatively low volatility helped stabilize the financial system and channel liquidity back into it.